On 24 November 2015, the doors of the stunningly beautiful National Gallery were finally open to the public, after more than ten years in the making. Home to the biggest collection of modern Southeast Asian Art, the 64,000 square meter museum has two permanent galleries featuring the development of both Singapore and Southeast Asian art. It is a must-visit for all art enthusiasts and history buffs. Once inside, visitors can navigate the museum and locate 100 key works of art with the help of the museum’s Gallery Explorer mobile application. The app, developed in partnership with Accenture, offers visitors self-guided tours and turn-by-turn directions from one’s current location to points of interest within the museum. The museum www.nationalgallery.sg is open daily from 10am to 7pm (with extended hours to 10pm on Fri-Sat and on eve of public holidays). 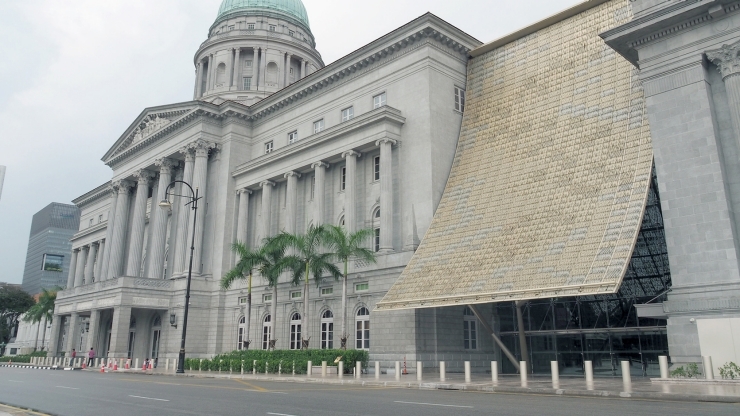 Tickets to the museum are priced at $20 per person (free for Singaporeans and Permanent Residents). If there is one word that captures the World Express philosophy, and the reason for our success - it is quality. The quality of our services, of our products, and of our personnel and work environment has resulted in numerous accolades and awards. Copyright @ 2016 - 2020. World Express Pte Ltd. All Rights Reserved.